Raising kids in a self-absorbed culture is hard work. 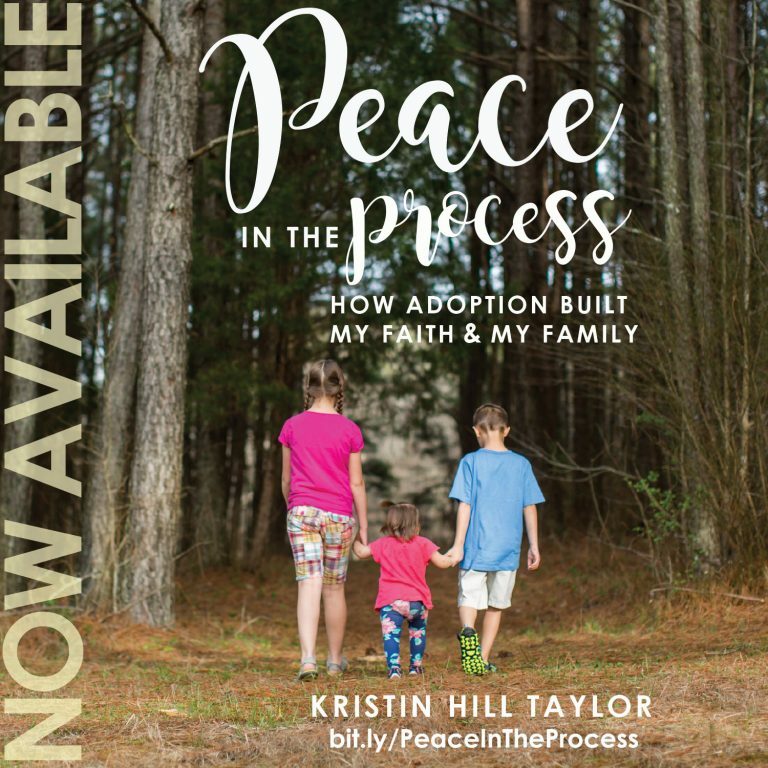 I’m an imperfect mom who sometimes has great ideas and sometimes struggles with my own selfishness. One of the best ways to keep us all focused on what matters – loving God and love people – is serving others. Thankfully, there are ways to do that and existing ministries to partner with. We don’t have to reinvent anything here. We just have to be willing to come alongside those things we are called to be part of. Of course, what I believe I’m called to be part of may not be the same thing you’re called to do – and that’s okay. 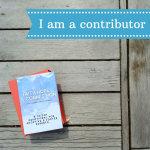 But I wanted to use my blog space today to share one way you can serve, if you’re looking for an opportunity to give to others. Operation Christmas Child, a project of Samaritan’s Purse, demonstrates God’s love in a tangible way to needy children around the world, and together with the local church worldwide, shares the Good News of Jesus Christ. We collect and send simple shoebox gifts filled with toys, school supplies, and hygiene items to children affected by war, poverty, disaster, famine, and disease. 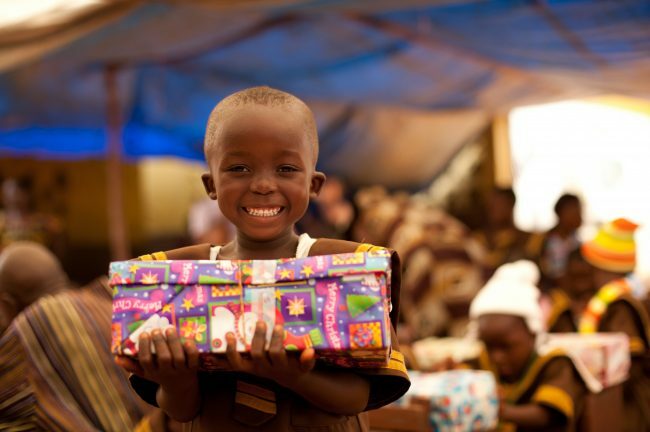 Since 1993, Operation Christmas Child has delivered gift-filled shoeboxes to more than 124 million children in more than 150 countries and territories. My two big kids are 9 and almost 7. They’ve been packing shoe boxes each fall for long enough that they know when we buy extra toothbrushes and school supplies what’s happening. I like creating that kind of tradition with our family and community. Serving others helps us focus beyond ourselves. Operation Christmas Child is one way to do that. Our church has long been a supporter of Samaritan’s Purse – both through packing and sending shoe boxes as well as other relief efforts. But this year we are doing things a little bit differently. One lady is our church has become more involved with Samaritan’s Purse and has shared many create ideas, including collecting items for shoe boxes well in advance of the November packing party we’ve traditionally had. During recent months, we’ve focused on collecting on particular thing. August was for school supplies. In September, we brought in “wow” items, like soccer balls and dolls. Most recently, we’ve collected plastic bowls and cups along with silverware. We have a packing party planned at the beginning of November. Typically it’s been organized chaos and we’re shooting for a little more organization this year with stations for each of the types of items and then people – including kids! – can move around the room and fill their boxes for boys and girls who will receive necessities, toys, and a gospel message. Have you packed shoe boxes before? How do you incorporate giving into your family life? Speaking of giving, I have something to give two of you! 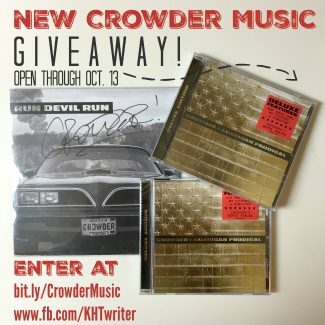 I’ve got two copies of Crowder’s new “American Prodigal” CD plus a signed vinyl of his “Run Devil Run” single. You’ve got through tomorrow (Thursday, Oct. 13) to enter to win, so come on over to do that! Be sure to subscribe so you can stay informed of fun stuff around here. Kristin, we began doing shoeboxes when our children were little. It was such a wonderful way for them to learn to focus on others and to fill the boxes with what would delight another. Gratefully, even as adults they have continued to do those shoeboxes and now my granddaughters are learning to do so. But I LOVE the idea of collecting items and then hosting a church party to fill the boxes. What a wonderful and fun way to do this project! Definitely going to pass this idea along. The church parties are always slightly chaotic but certainly fun. I’m glad you’ve gotten to experiences the shoe box packing with your family and are continuing it with the little ones! Kristin we love doing shoeboxes. Our church does this project each year for years now. Thanks, Debbie! I’m glad you’re here! I love doing the shoe box project with the Sunday School kids, and we haven’t done it for a while . . . thanks for the reminder, because this would be a good year to revisit that! You’re welcome! Have a fun time revisiting this project! We love Operation Christmas Child! We took a break last year (after 6 years straight), but are ready to jump back in this year. It’s coming soon, isn’t it? We have been dong OCC for the last four years, one of our kids favorite service projects. The love to shop and put them together! Oh and I do love Crowder! Our shoebox ministry was announced last week. 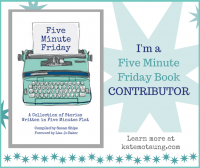 I don’t like to do the actual boxes – so I do the easy thing…write a check! That sounds so Scrooge-like. I love the ministry though and Sam’s Purse facility is about 30 minutes from us so we always try to volunteer at least one evening of going through the boxes, etc. It is great fun and a blessing! You’re not a Scrooge! It takes all kinds of gifts to make it work. How fun you’re close to the facility, though! Thanks for being here! We used to do shoeboxes every year, but we moved away from it in past years for no particular reason. We do still support Samaritan’s purse and a few other organizations, like A21. You’re so right – it so important to teach our kids about serving others, especially in our culture of plenty. Hugs, friend. And PS. I’m really enjoying your new space – just lovely. We pack boxes with my MOPS group. This year we are having the childcare kids make Christmas cards to put in the boxes. I always try to remember to buy things during the year but then October rolls around and I realize I only have two or three things! That coloring sheet I linked above is really cute. We’re going to have our kids at church color and fill out the info on those to include in our boxes. I’m excited for that personal touch this year. I’m glad you’re here, Katie!